When you are creating your logo or patch for custom embroidery, it may be helpful to understand the stitches that will be used to transfer your image into stitched art. 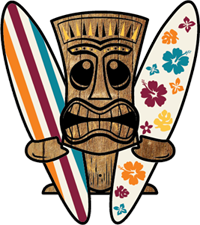 At Shirt Shack of Nebraska, our design team can help you with your logo or image creation and explain how it will look once it is made out of thread. Follow along in today’s post as we discuss how different stitches are used to bring your custom embroidered image to life. There are a variety of stitches that are used to create letters or images for custom embroidery directly on to fabric or onto patches. 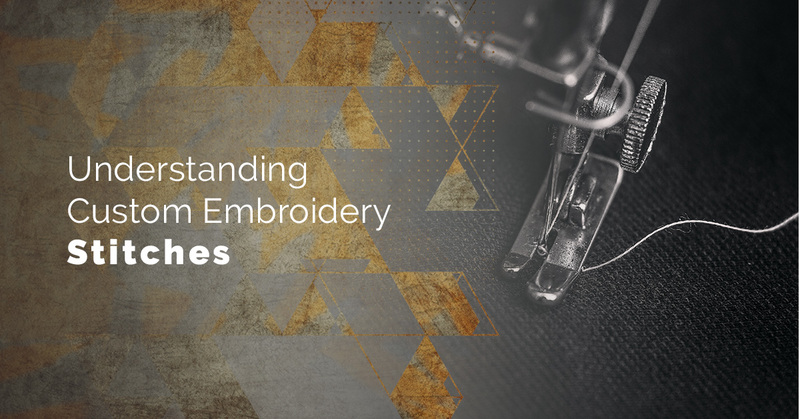 While the skilled embroidery team at Shirt Shack knows and uses a long list of embroidery stitches, in today’s post we will focus on the more common ones that will be the basics to create your design — satin, fill, and running stitches. A satin stitch, also called a column stitch, is the most common stitch used in custom embroidery for both outlining images and also to create the letters in names. The satin stitch goes back and forth across the entire width of the area where the thread color will be used. This gives the texture a smooth look and helps raise the stitch above the fill stitches. The solid lines and uninterrupted stitches give the column stitch a glossy or satin appearance. Satin stitches can be used for text, borders, and anywhere that is narrow and should be enhanced or emphasized. Fill stitches, also called ceding or tatami, are used for exactly what the name implies, to fill in spaces of solid color. The fill stitch is used to create the background or underlay foundation to flatten bulky fabric types, patch backgrounds, or large, single-color images. The fill stitch helps to create a flat and polished look, and prevents puckering between areas of satin stitching. Fill stitches are ideal for use to color or shade in areas and are typically straight lines, but can be curved. Balboa, or trapunto, stitches are a form of fill stitch, used to hold down the knap or thickness of fabrics such as fleece. This stitch is used as the base to stitch embroidery on top of so that it does not sink into the fabric. Walking or running stitches are the small of fine dashed stitches that is used to create small details. The walking stitch is used to create a hand-stitched look within designs and running stitches are used to create the small details in a pattern or image. The running stitch can also be used to blend small amounts of color within a base color. At Shirt Shack, our embroidery experts will help you design the perfect logo or image for embroidery, whether as a patch or directly onto fabric. Understanding these basic stitches can help you plan your design for the optimal finished look. For all of your custom embroidery needs, visit us at Shirt Shack today!